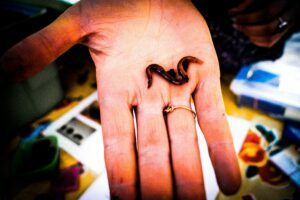 During your service learning project, you will connect with community members to solve sustainability problems and gain tangible skills to include on your resume. The 1-credit seminar will support your service learning project. 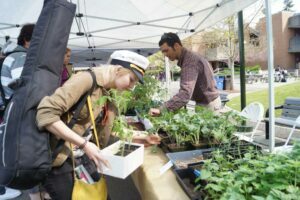 A concentration in Sustainability will enrich any future career, ranging from governmental and non-profit work to business. In 2010, the Harvard Business Review called Sustainability the next big “societal and economic shift,” which means that it will give you an extra competitive edge when it comes to getting the job that you want, regardless of your chosen career path. *Students must take a minimum of 1 course from the Science Division in this category. Contact your academic advisor to determine your coursework. Any questions that you and your advisor have about the concentration should be directed to the Sustainability Concentration Coordinator, Sonya Doucette at sonya.doucette@bellevuecollege.edu. 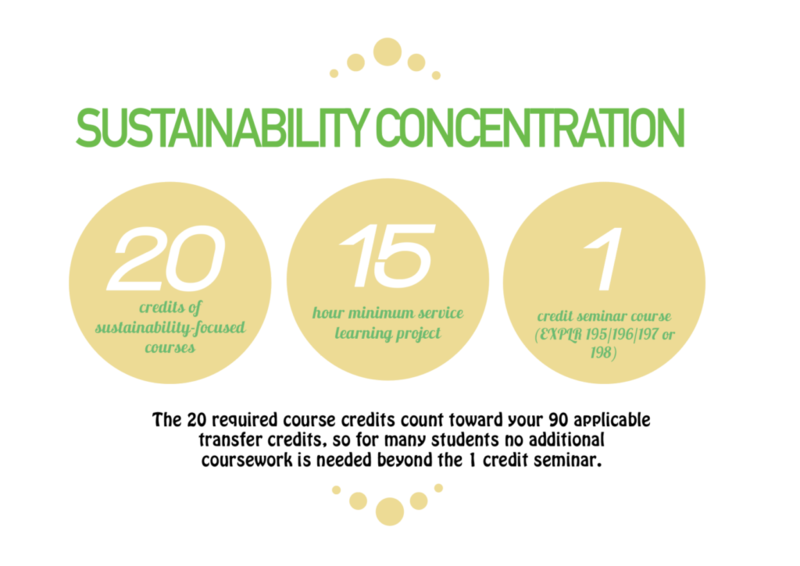 Earn a total of 20 credits from sustainability-focused courses by taking 10 credits from the Interconnected Systems category and 10 credits from the Change Agent category. Up to 10 credits can “double count” toward distribution requirement, as long as they are in different programs. Complete a pre-approved 16 hour minimum service learning project. The project might include, but is not limited to, taking a course with a strong service learning component, completing a 299 Individual Studies course in a discipline of choice, conducting undergraduate research on topics related to sustainability, completing an EXPRL 191 internship focused on issues related to sustainability, working or volunteering for Bellevue College’s Office of Sustainability, serving in a leadership role in a chartered student club or program concerned with sustainability, or completing a service learning project of your choice in the surrounding communities served by Bellevue College. Take the 1-credit Sustainability Seminar (EXPRL 195), which is focused on forming a cohort with other students around your service learning projects, discussing sustainability issues, and learning about sustainability science (an emerging field of study focused on methods for solving sustainability problems). The seminar course will be offered at various times during the academic year. Any questions that you and your advisor have about the concentration should be directed to the Sustainability Concentration Coordinator, Sonya Doucette at sonya.doucette@bellevuecollege.edu.